An industry association leader has said mortgage originators will need to get more involved if they are to see compensation rules changed by the CFPB. 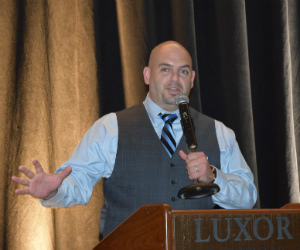 Speaking to the National Association of Mortgage Professionals National Conference in Las Vegas, NAMB Government Affairs chair Rick Bettencourt has called on brokers to make their voices heard. Bettencourt said the association has a good working relationship with the CFPB, but argued that the Bureau is unlikely to change the 3% points and fees cap unless it is presented with hard data. “They’ve indicated in a very nice way that, ‘You’ve been here four times. You’ve discussed this issue four times and still nothing has been done. What does that tell you?’ I think if we had more members and more member activity we might have had a better shot at rebuttal, but they are a data-driven organization. That’s how they run their entire system. They said, ‘If you don’t have some additional information on the adverse impact that this rule is having on the broker community then we can’t do anything.’ In order to do something they have to go into Dodd-Frank and fix it,” Bettencourt said. Bettencourt said the CFPB wants hard data on the impact of the rule, which has thus far been difficult to solicit. Bettencourt urged mortgage professionals to help gather data to present to the Bureau. “The data we’re going to be looking for is asking for very pointed data as far as any information you know as to any impact this rule has had. How many brokers have gone out of business? How many loan officers have switched from a broker model to a non-depository model? How many borrowers have had to go down to a bank or non-depository to get the loan?” he said.